Joanna M. Kornafel represents individuals and clients with complex financial and litigation needs in a wide array of industries such as healthcare, construction, horticulture, retail, and hospitality. Her practice focuses on civil litigation matters, unfair trade practices (CUTPA), business torts, breach of contracts, debtor/creditor litigation, workouts, bankruptcy litigation, and other commercial litigation matters. 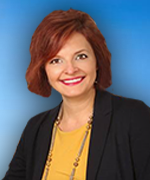 Ms. Kornafel has extensive experience handling all aspects of bankruptcies and workouts, representing secured and unsecured creditors, debtors, bankruptcy trustees, and acquirers of businesses in Chapter 11 bankruptcies. In addition, she has represented clients in state and federal courts and has prosecuted and defended evidentiary hearings related to applications for preliminary injunctions, applications for prejudgment remedy, and contested matters in bankruptcy court. Ms. Kornafel is a Fellow of the American Bar Foundation. Further, she was honored as the Rookie of the Year for the CBA’s Young Lawyers Section (2014) and the Rising Star in the CBA’s Commercial Law & Bankruptcy Section (2017). Ms. Kornafel received her Bachelor of Arts degree with Honors from McGill University in Montreal, Quebec, Canada, and her Juris Doctor from Boston College Law School. While in law school, Ms. Kornafel was selected for the London Study Abroad Program, where she interned in the General Counsel Division at the Financial Services Authority and attended classes at King’s College London. She was also a student attorney in the Civil Litigation Clinic at the Boston College Litigation Assistance Bureau, where she represented clients in a variety of practice areas, including family law, landlord-tenant disputes, and Social Security disability appeals. Prior to attending law school, Ms. Kornafel worked for several years for the global management consulting firm McKinsey & Company. Ms. Kornafel is admitted to practice in Connecticut, Massachusetts, the United States District Court for the District of Connecticut, and the United States Supreme Court. Successfully represented secured creditors in relief from stay proceedings. Successfully represented creditor in Chapter 7 bankruptcy in having debt declared non-dischargeable. Successfully defended debtors in creditor’s objection to dischargeability of debt and trustee’s objections to exemptions in personal injury awards. Represented furniture store in successful out-of-state workouts to avoid litigation and/or bankruptcy. Represented homeowners in foreclosure action and successfully negotiated mortgage modifications, short sales, and deed-in-lieu of foreclosure. Represented Chapter 7 bankruptcy trustee in adversary proceedings, successfully avoiding fraudulent transfers and preferences and prosecuting breach of fiduciary claims and breach of contract claims and recovering significant assets for the benefit of bankruptcy estates. Represented acquirer of secured debt prior to Chapter 11 bankruptcy filing and throughout Chapter 11 proceeding as friendly acquirer of a distressed business in secured party sale. Represented a Chapter 11 debtor in the hotel industry in successful § 363 sale. Represented wholesale nursery in its Chapter 11 bankruptcy. Represented a Chapter 11 debtor in the healthcare industry (orthotics and prosthetics) through plan confirmation. Represented trustee beneficiary in breach of contract, breach of fiduciary duty, unjust enrichment, statutory theft, and failure to provide an accounting claims.